The "new" M. Strider Knives is a privately owned and operated company devoted solely to the development and construction of edged tools designed to survive use in the harshest of conditions. An American company founded and operated by former military personnel, their initial goal was to create a top-quality field service knife affordable to the average enlisted man. Since achieving this goal, Strider now makes a series of edged tools with the same quality and affordability of their first models. Around the globe, people stake their lives on Strider tools. 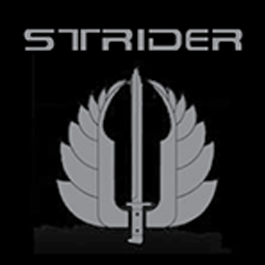 Strider knows this, and they spare no expense when designing and manufacturing their products. Using only the finest materials and latest technology, Strider Knives continues to set the pace in cutting geometry, function and durability.